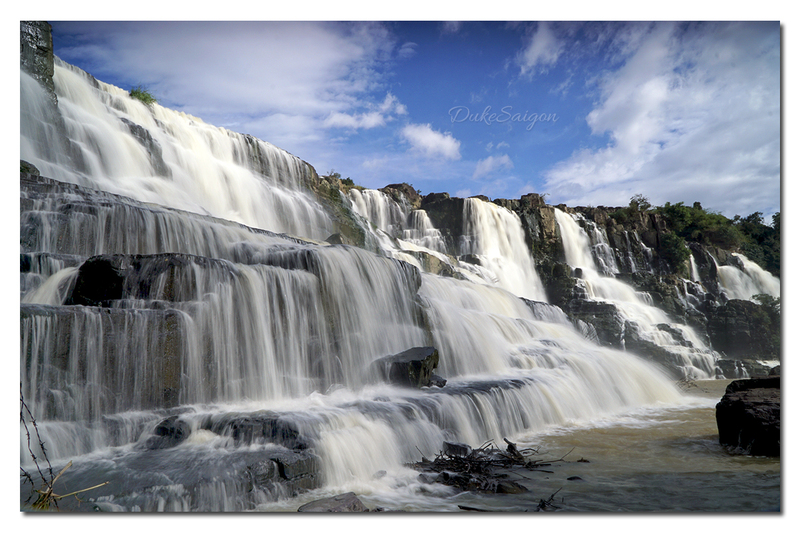 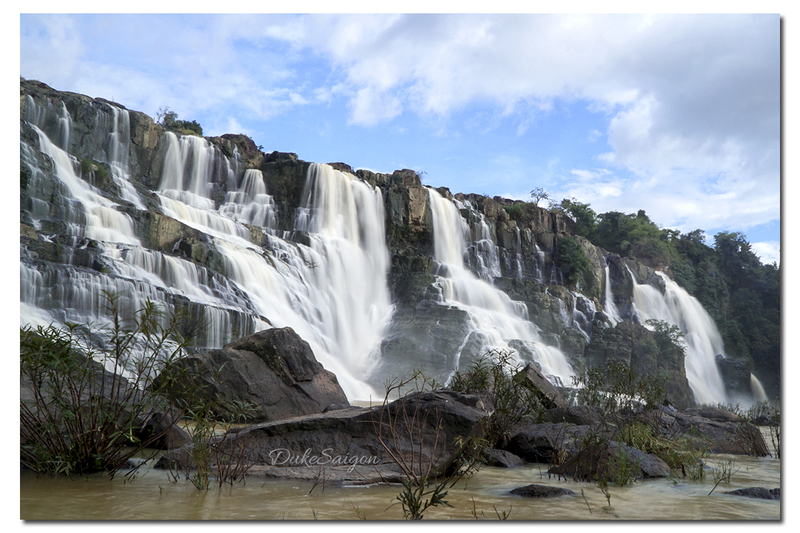 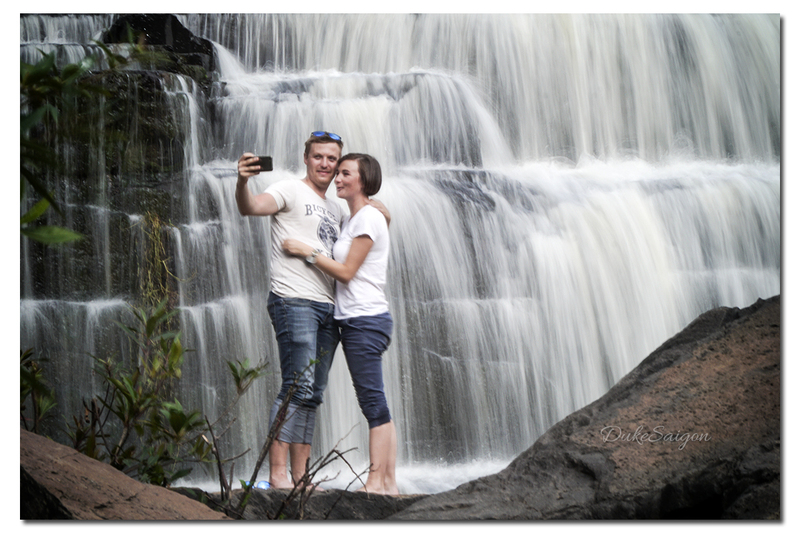 Pongour waterfall is located in Duc Trong District, Lam Dong Province, and is about 50km Southeast of Da Lat City. 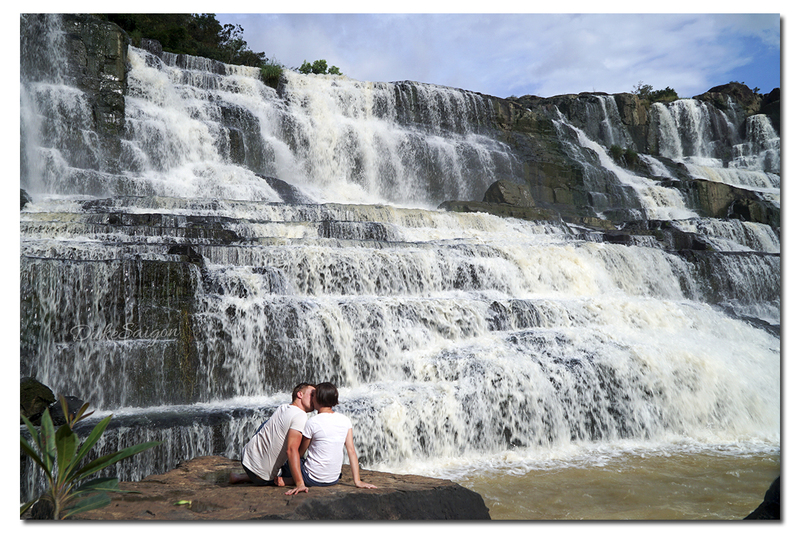 The waterfall is 40 meters high and 100 meters wide. 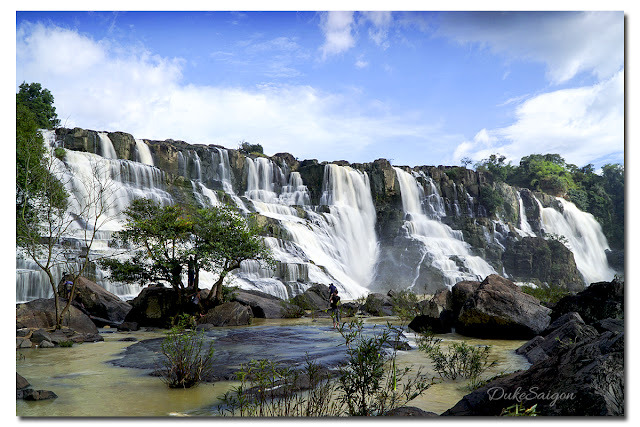 Water flows down across seven separate levels of terraced rock and that makes Pongour the most beautiful waterfall in the South of Vietnam. 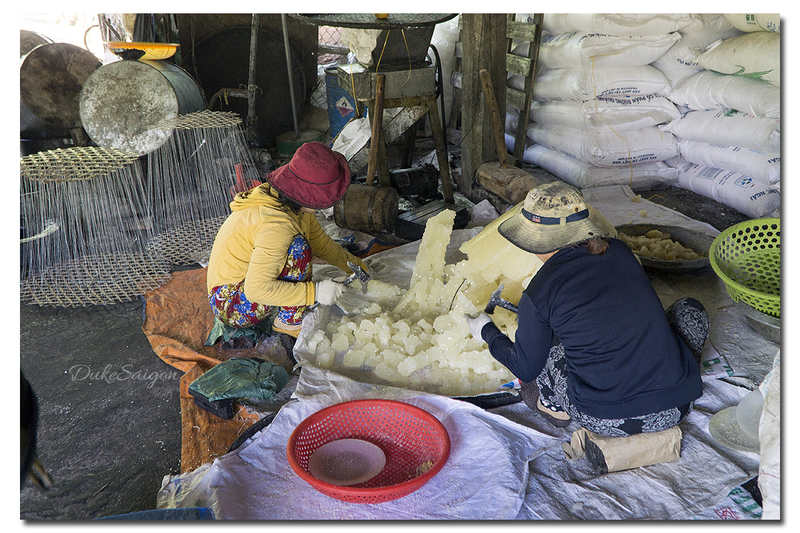 The name Pongour was created by the French base on K’Ho language (an ethnic minority in Southern Highlands): “Pon-gou” - means the Lord of kaolin land. However, Pongour waterfall reminds people to a myth of a very beautiful lady called Kanai, who protected farmers in the area from wild animals and their enemies. When she died once spring, her hairs turned into water to have a strong attachment to the people in the area. To get to Pongour waterfall from Da Lat, you can take Highway 20 past Lien Nghia town until you see the falls signposted to the right, turn right onto a rural road for about 10 minutes until you reach the entrance. 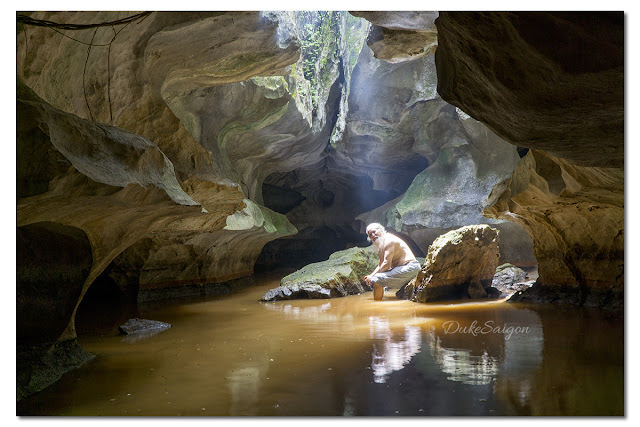 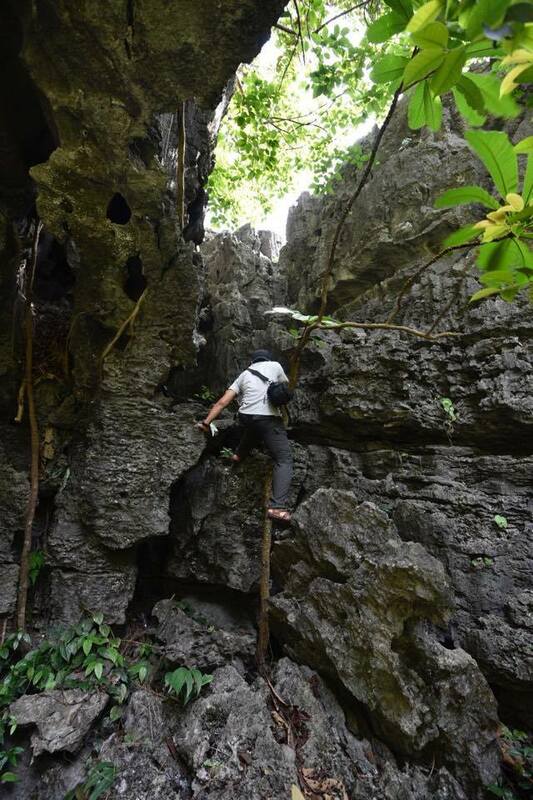 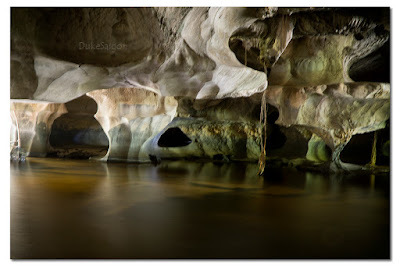 Located 30km southwest of Ha Tien City, Son Tra Cave is being left fallow in a small limestone mountain, aside a tiny path connected to Road DT11 in Kien Luong District, Kien Giang Province. During the Vietnam War, the cave was said to be a base camp of a guerilla squad of National Liberation Front (known as Viet Cong). 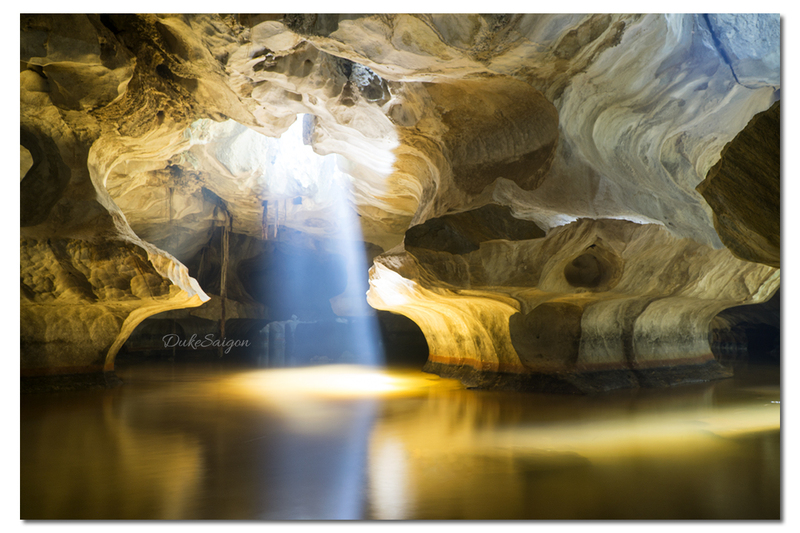 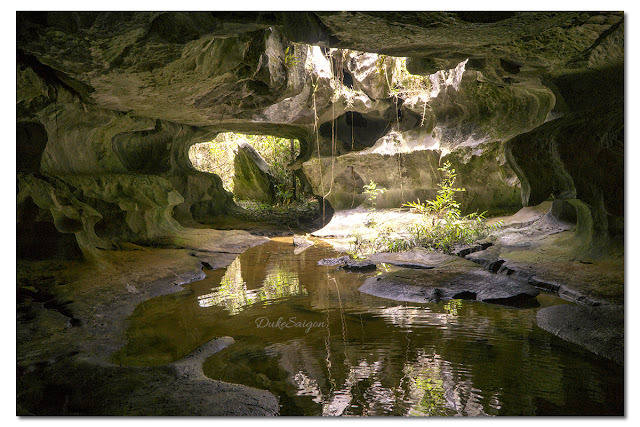 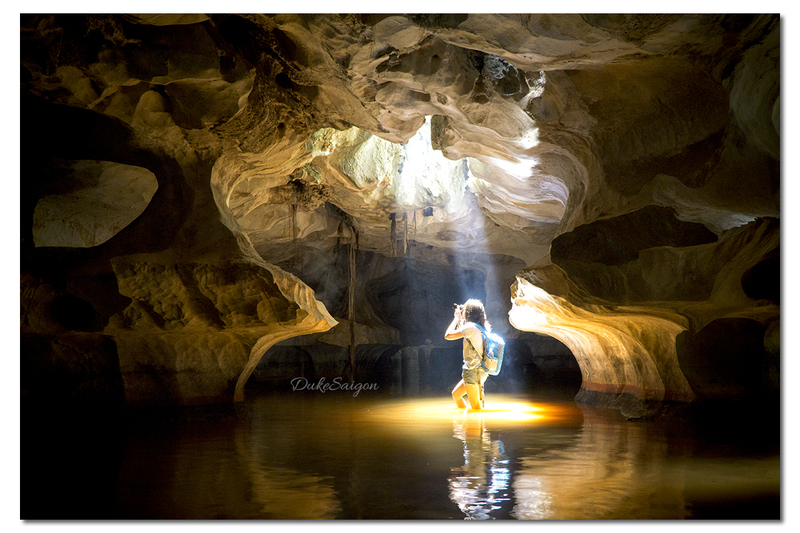 Within the cave, there are many groundwater circuits and about four sky wells that enable sunlight shine through. 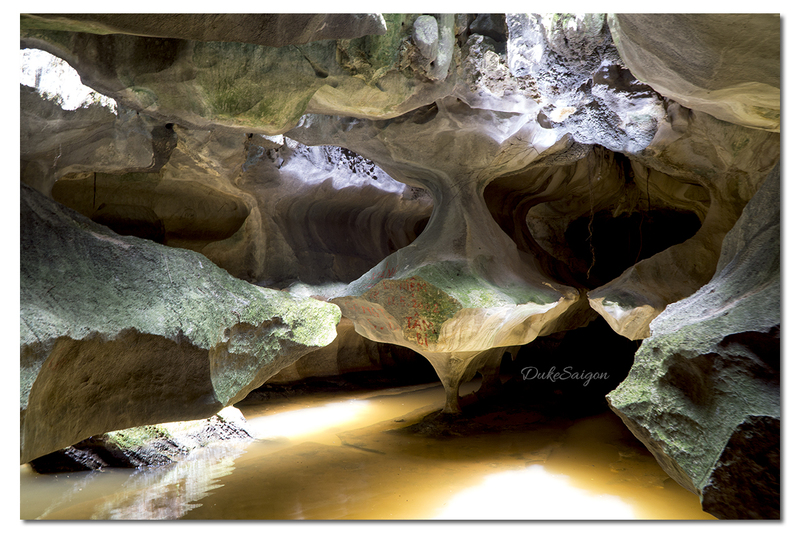 With sunlight (ideally from 11:00 to 12:00 noon time), stalactite becomes more sparkling and fanciful. Sugar candy (chemical name: saccharose or sucrose) is mostly used in Vietnamese food and drink. 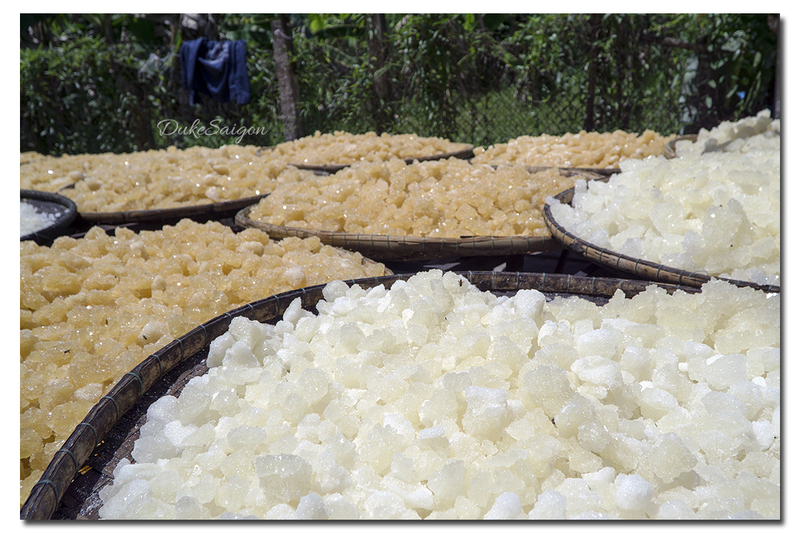 Either used with tea for soft drink or used with lemon for cough treatment, sugar candy is always the first option to choose because of its taste and smell. It is also especially good for elderly people. The material for producing sugar candy is white refined sugar. 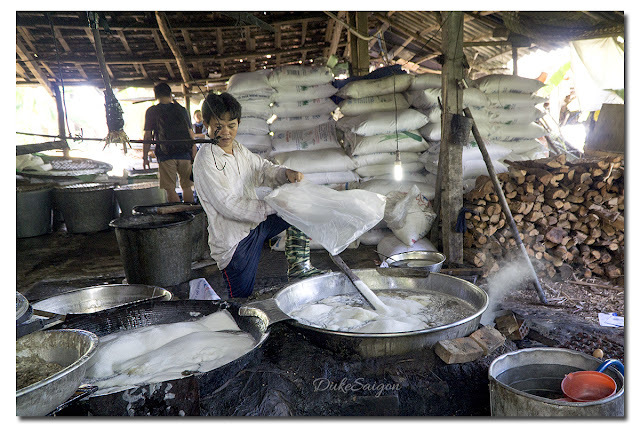 Firstly they cook white refined sugar with water. Eggs are used to take out all foreign matters. 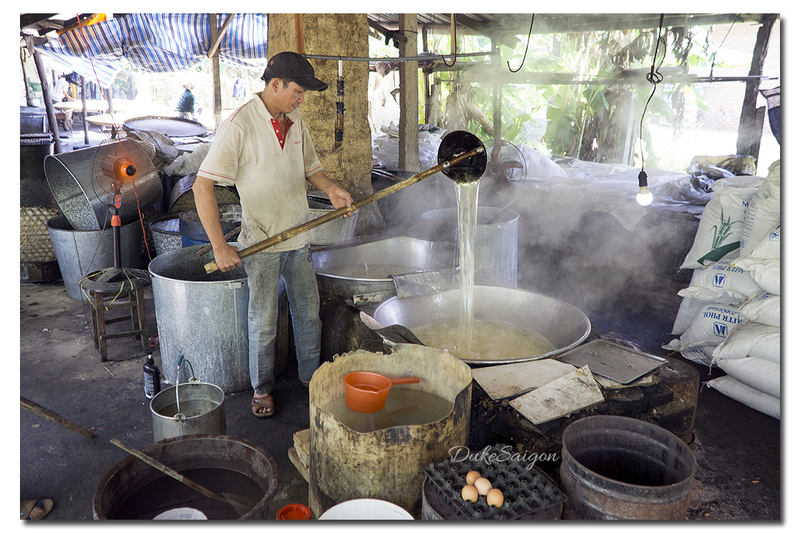 After being cooked for a while, the mixture between sugar and candy is poured into a jar. After 7-10 days, the sugar is condensed and broken down into pieces. 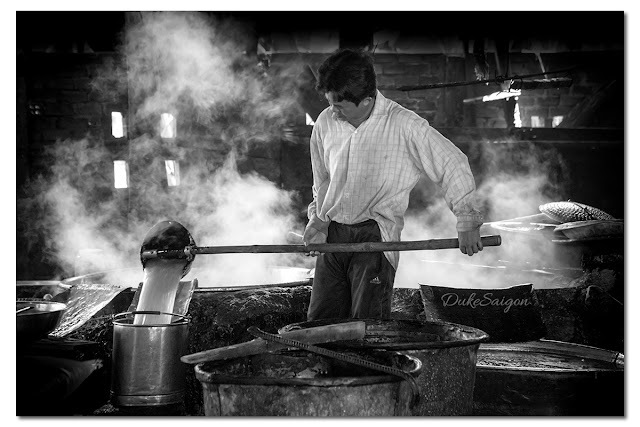 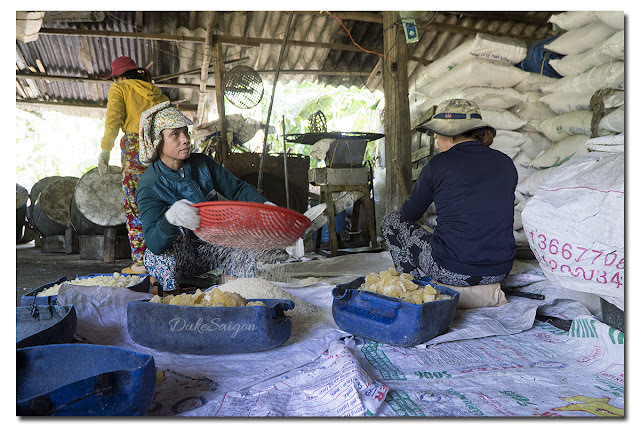 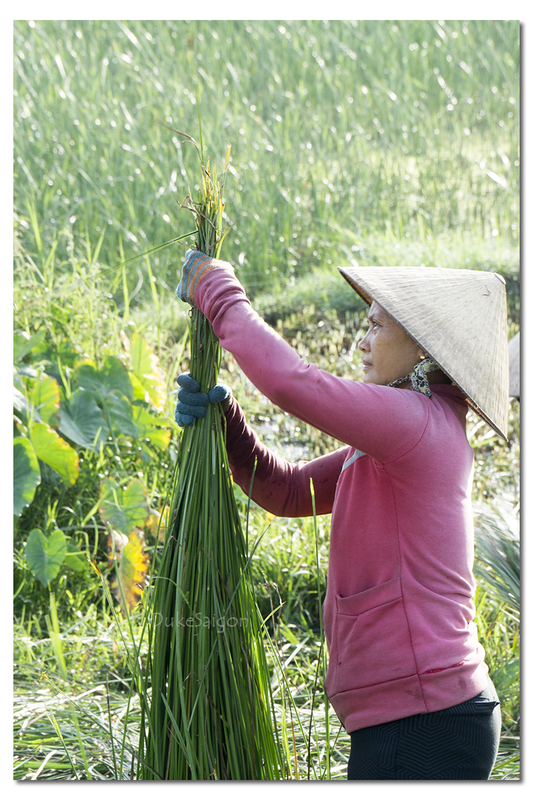 Photo taken in Van Tuong Village, Quang Ngai Province. 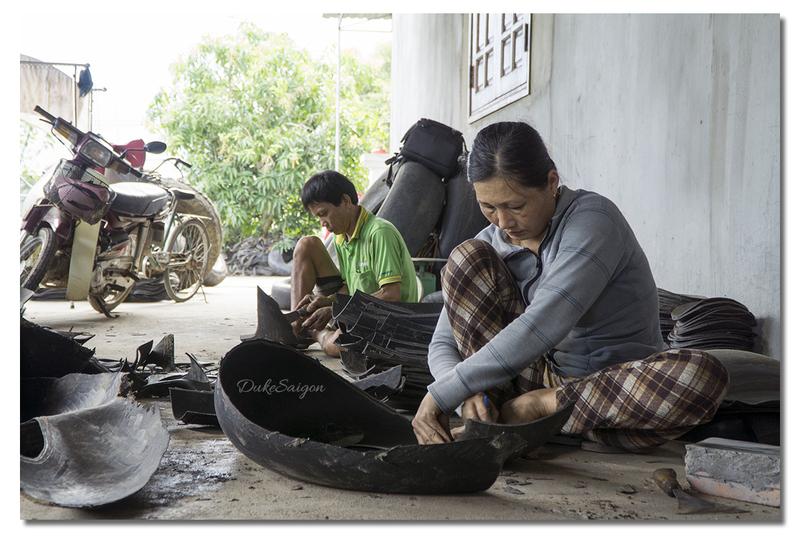 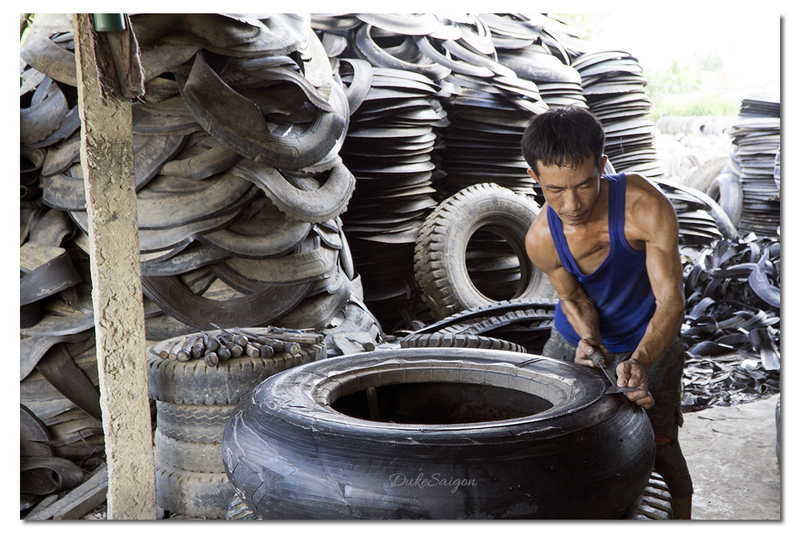 There is no other village in Vietnam but Hoa Binh Village in Nghia Hoa Hamlet, Tu Nghia District – 10km from Quang Ngai City – can earn a living from waste tires. 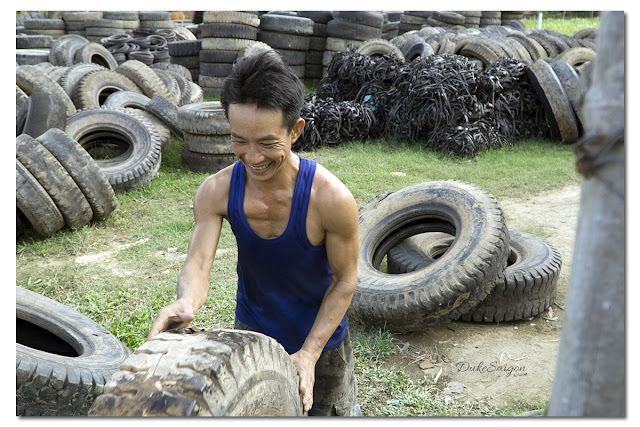 When you reach the village, you will immediately see bunches of waste tires on the ground, in the garden, on the sidewalk, etc. with all types of tires from heavy trucks, cars, motorbikes, bulldozers, or excavators. 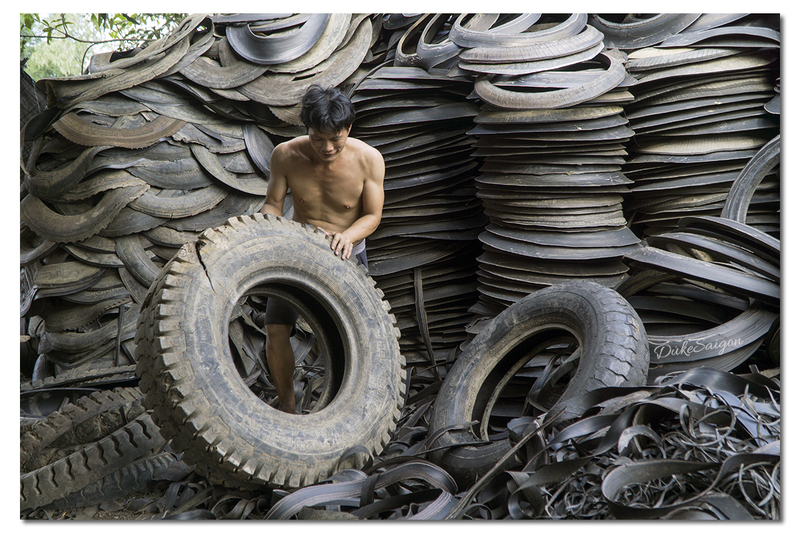 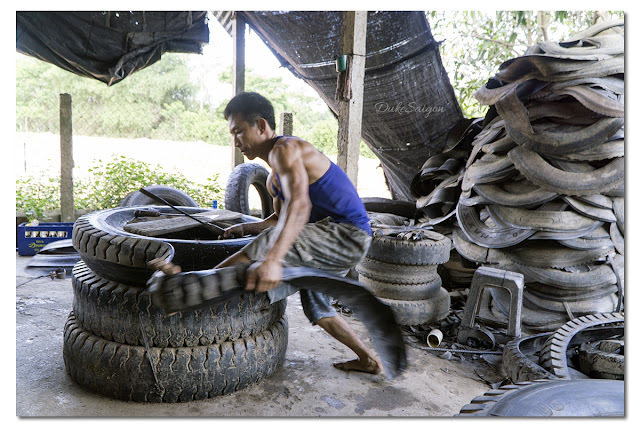 Waste tires are bought from every corner of the country and transported to the village. They are then classified. 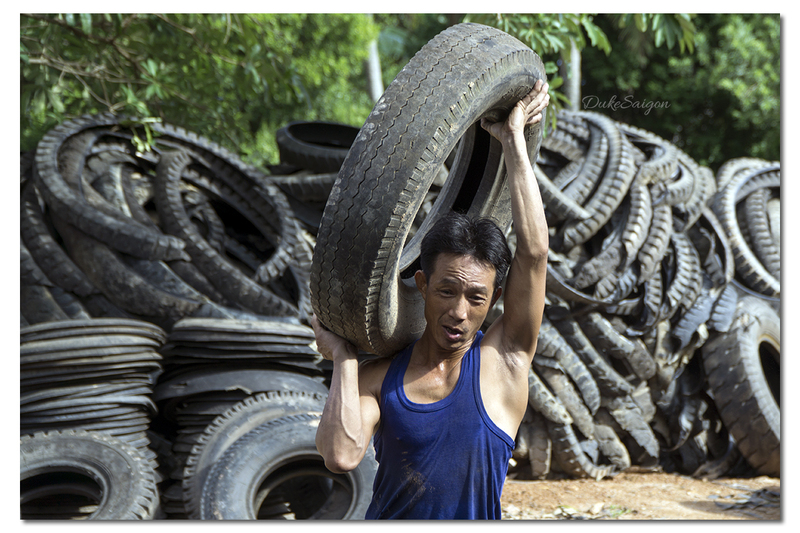 Those not too bad are re-sold for use in work sites. 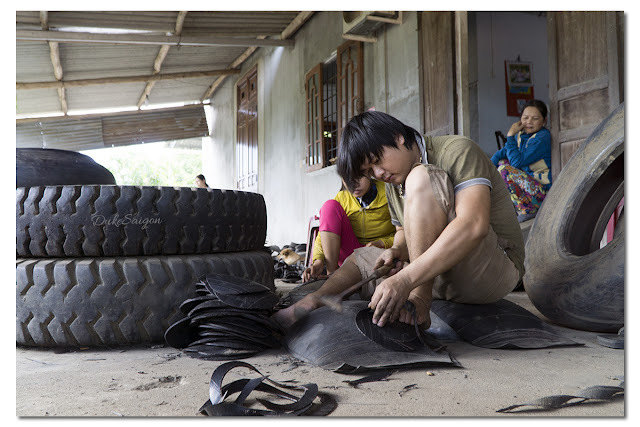 Others are cut and split into pieces in variety of purposes, used to make rubber sandals, to mend a puncture, or to make rubber particles for artificial soccer field, etc. Nothing is unused from a waste tire. 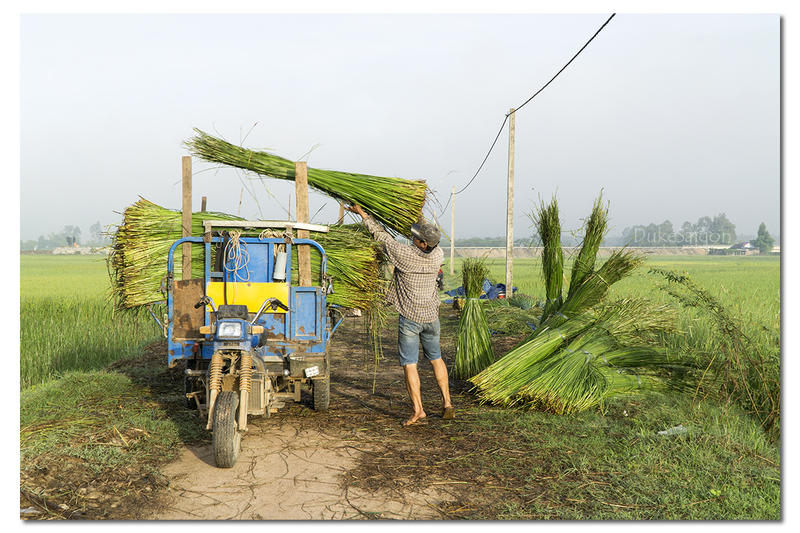 Estimated about 3,000 people in the area are involved in this industry. 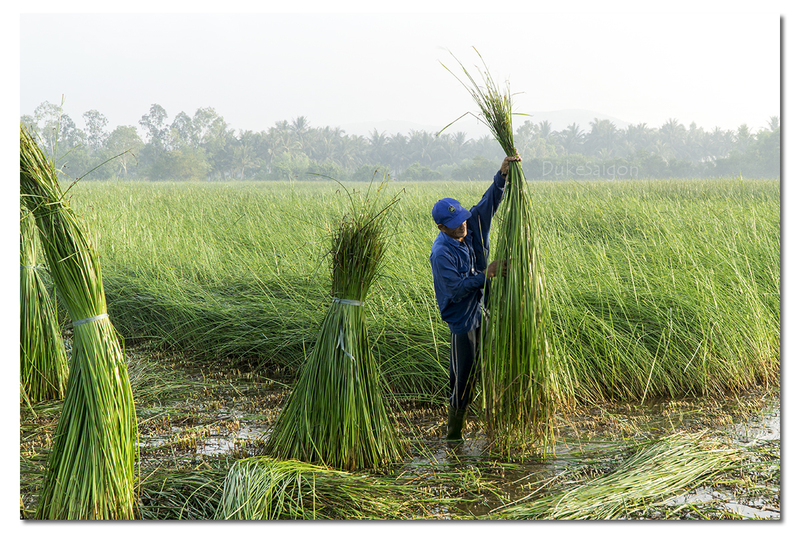 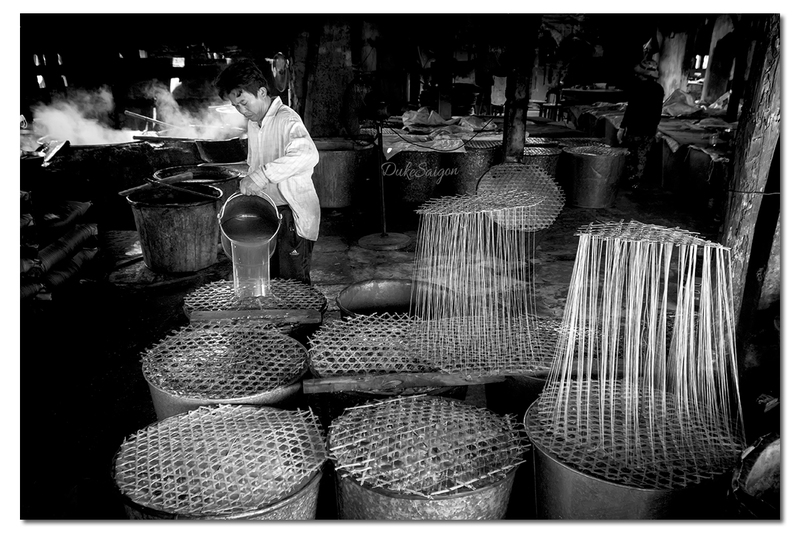 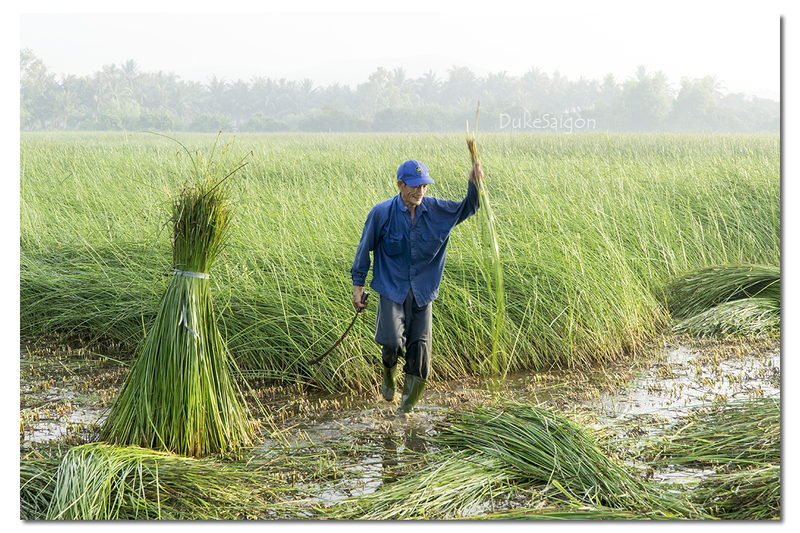 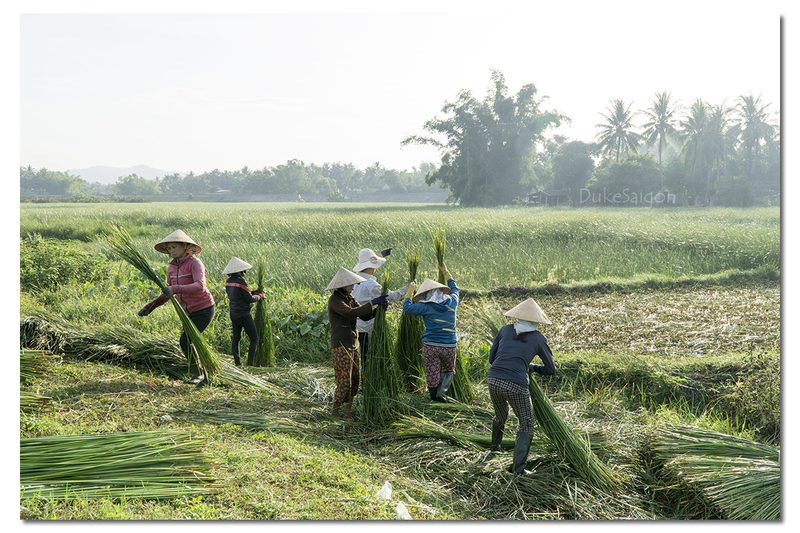 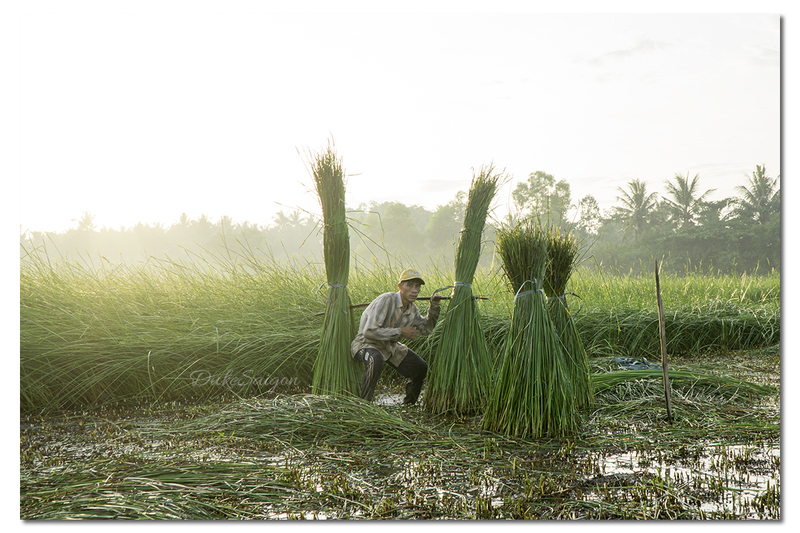 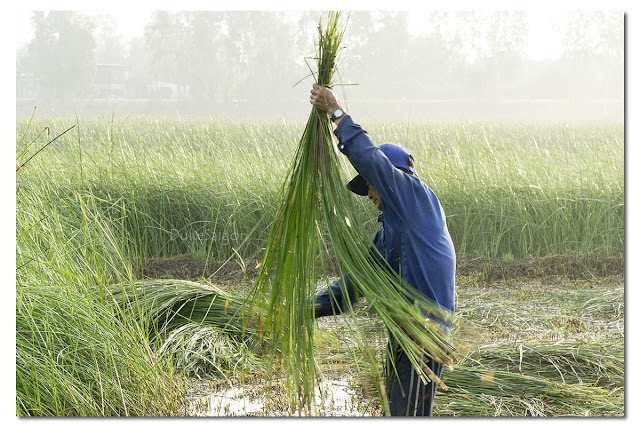 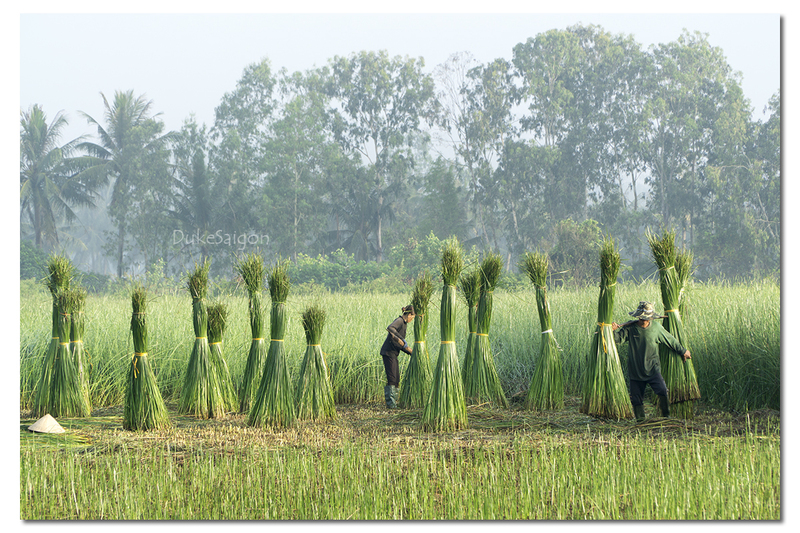 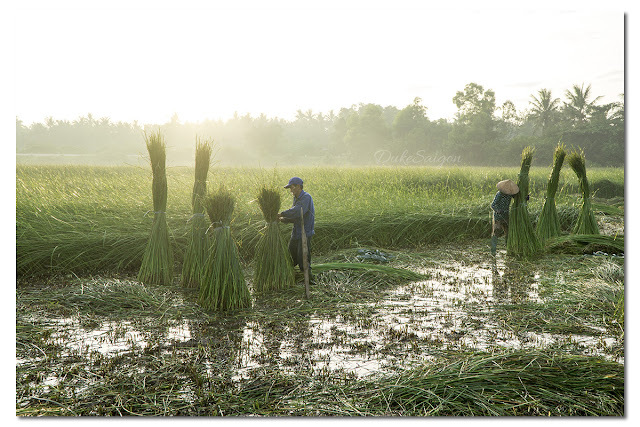 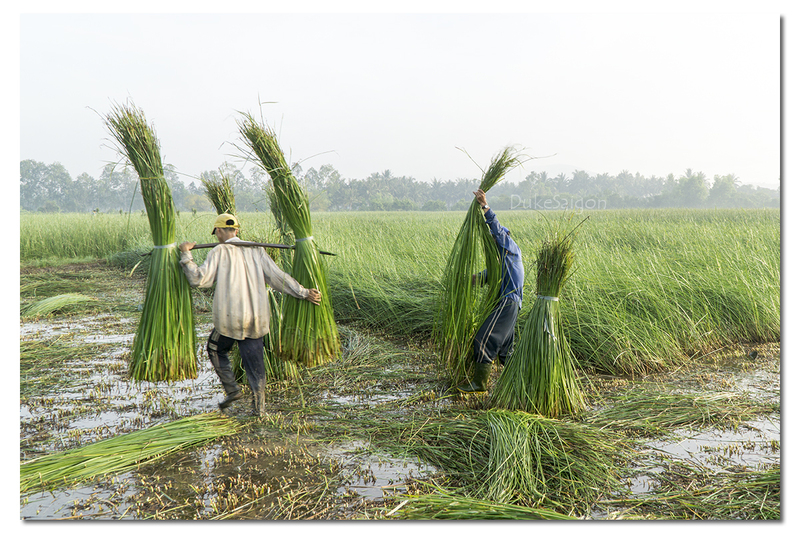 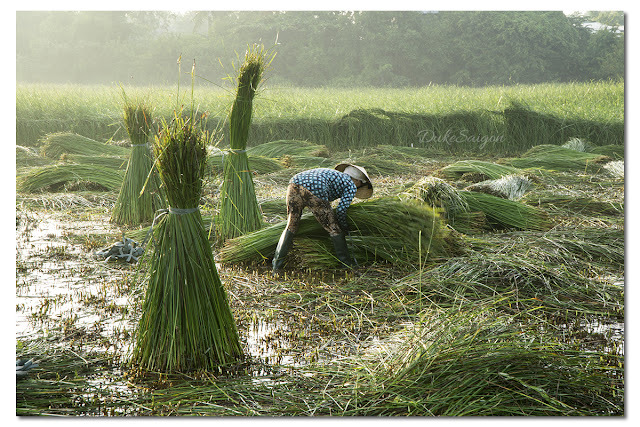 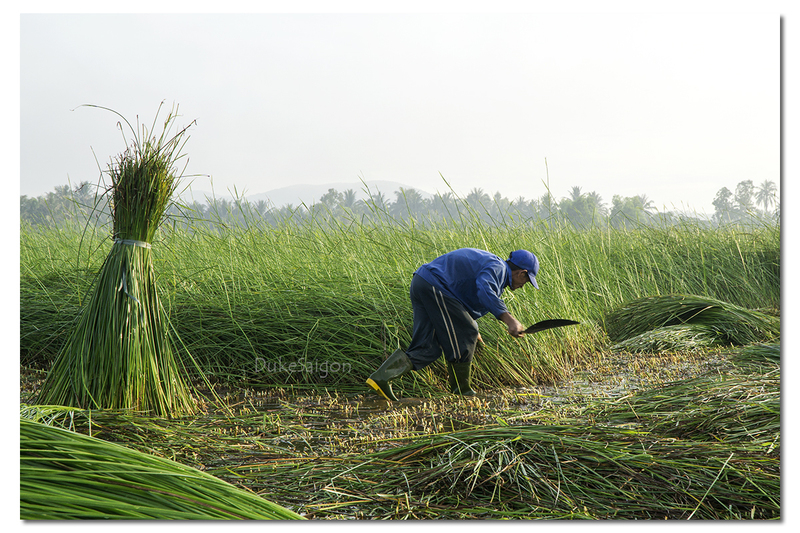 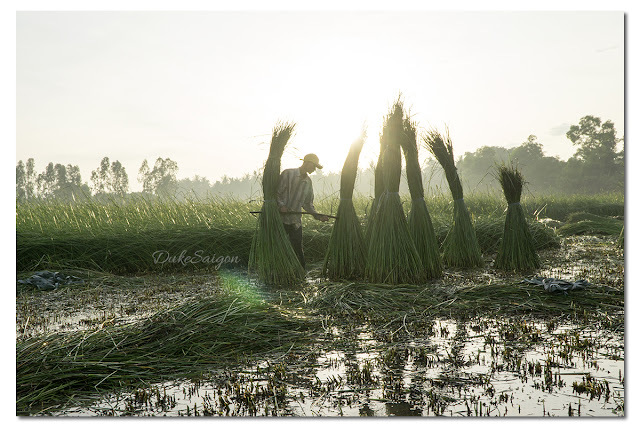 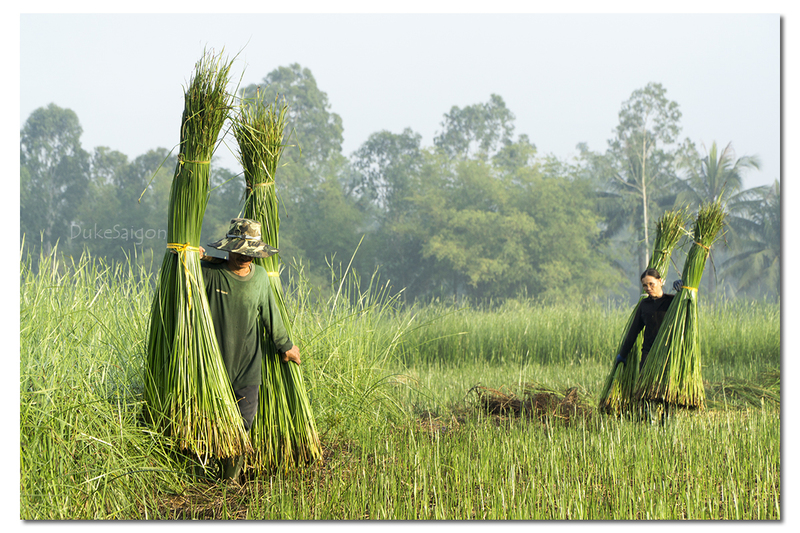 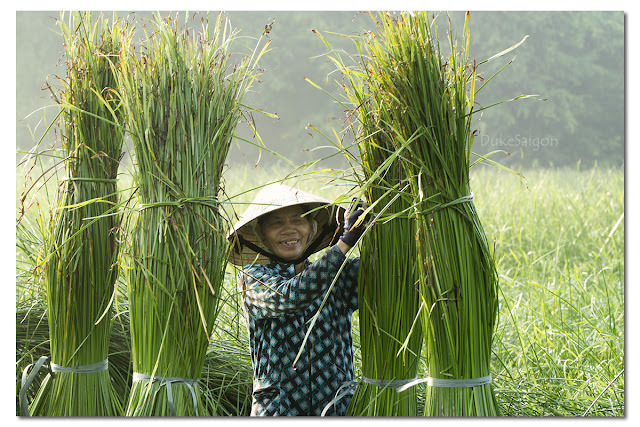 Vietnam has many villages across the country growing sedge, a kind of grass, in order to weave it into sedge mat. 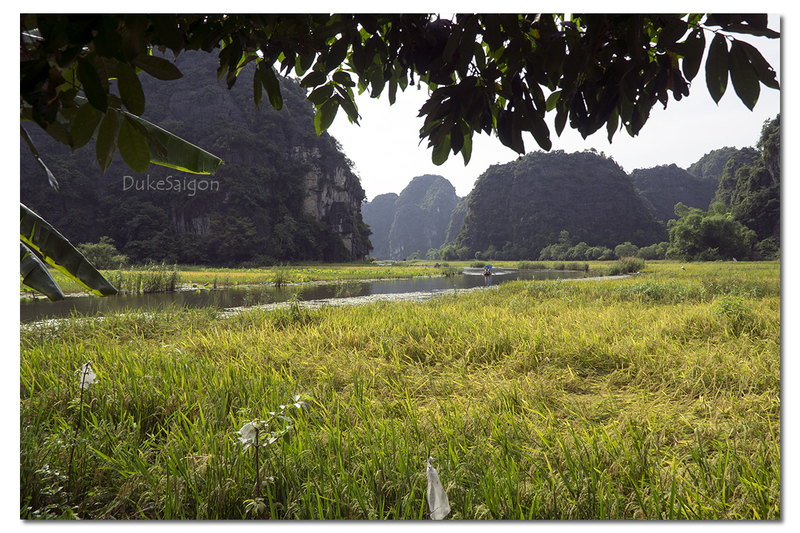 Vietnamese people, especially in the countryside, prefer sedge mat over modern mattress because of the airy feeling it offers. 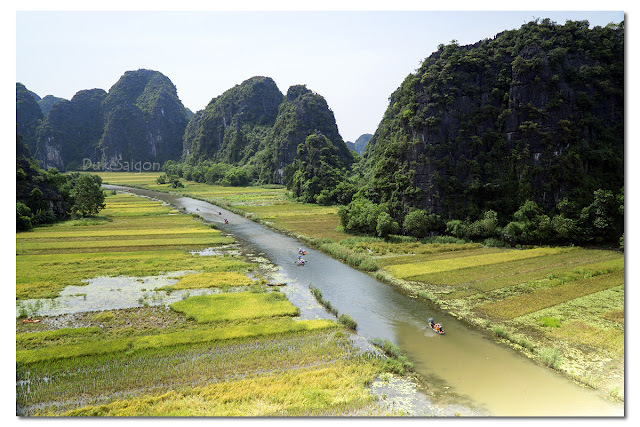 Tam Quan in Binh Dinh Province is that kind of village. 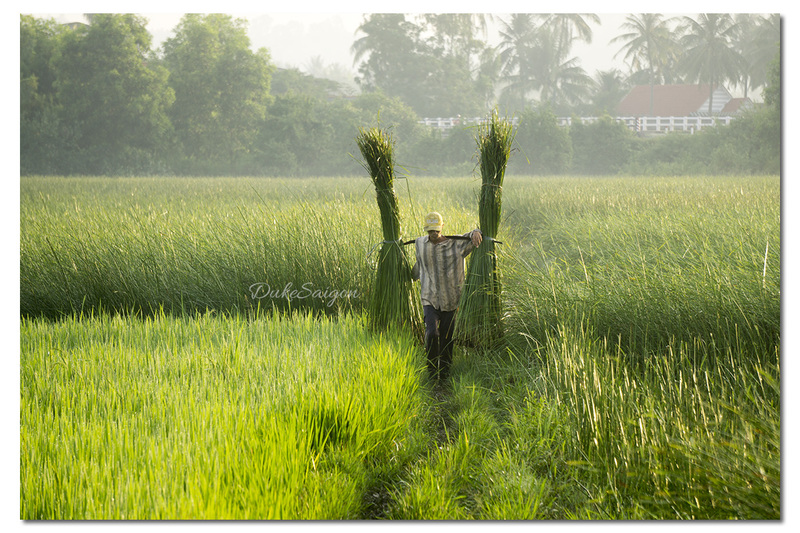 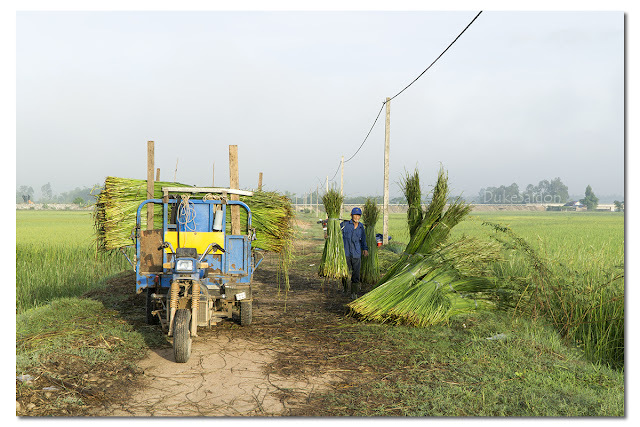 People can see the beauty of green sedge field alongside the National Road, especially in harvest season. 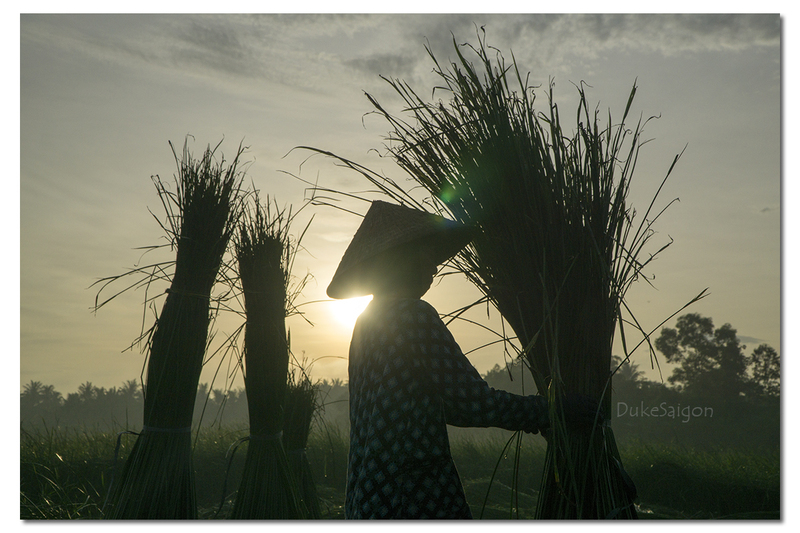 Farmers wake up very early in the morning for their work in the field, and try to finish when sun rises. 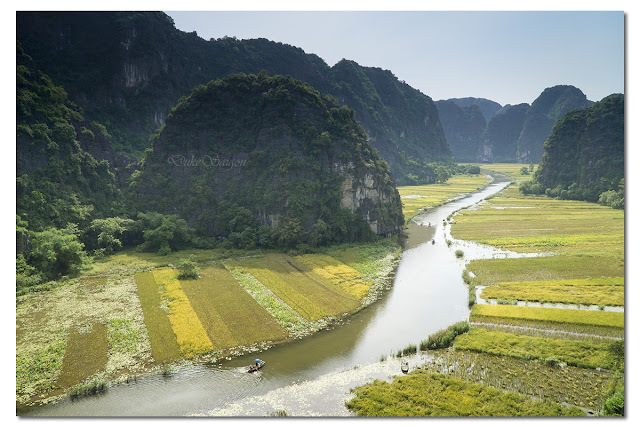 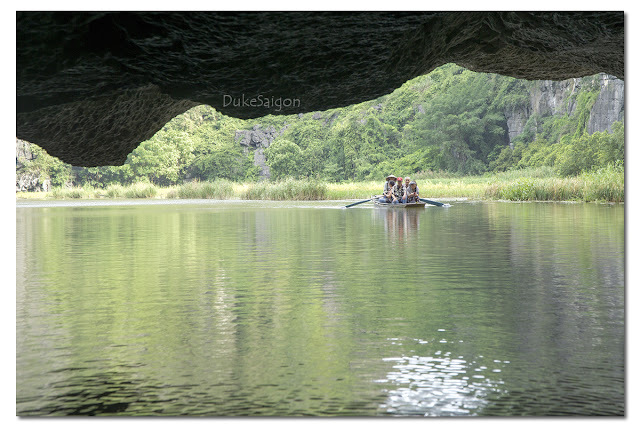 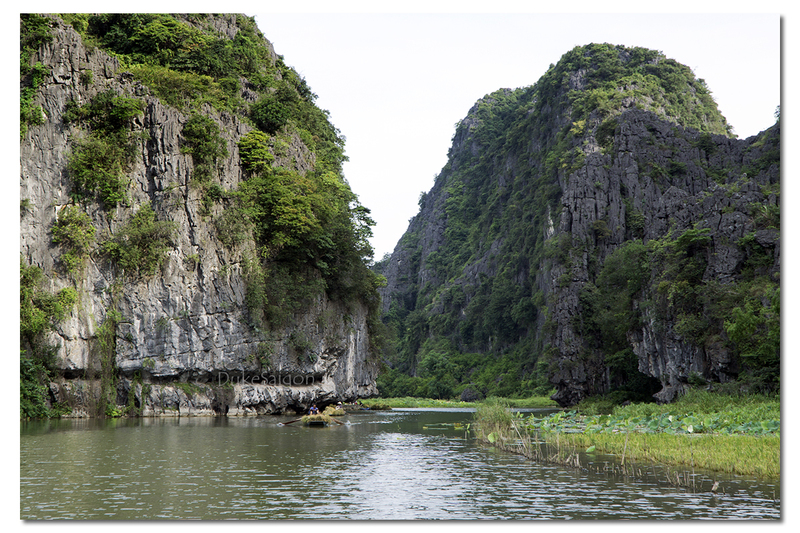 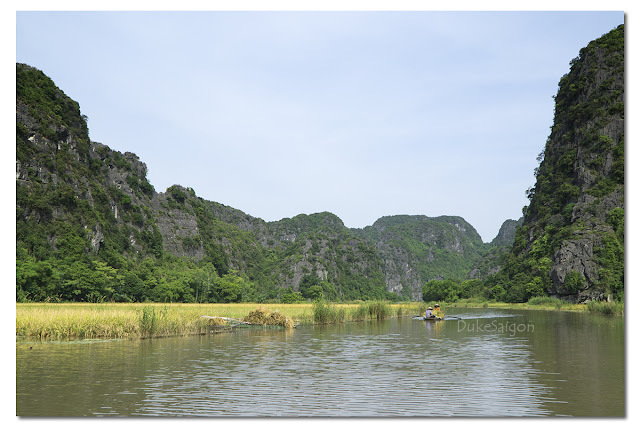 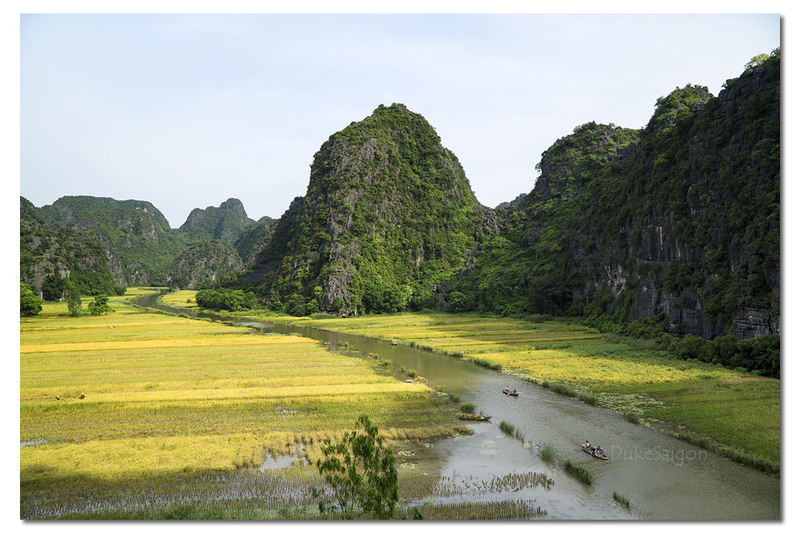 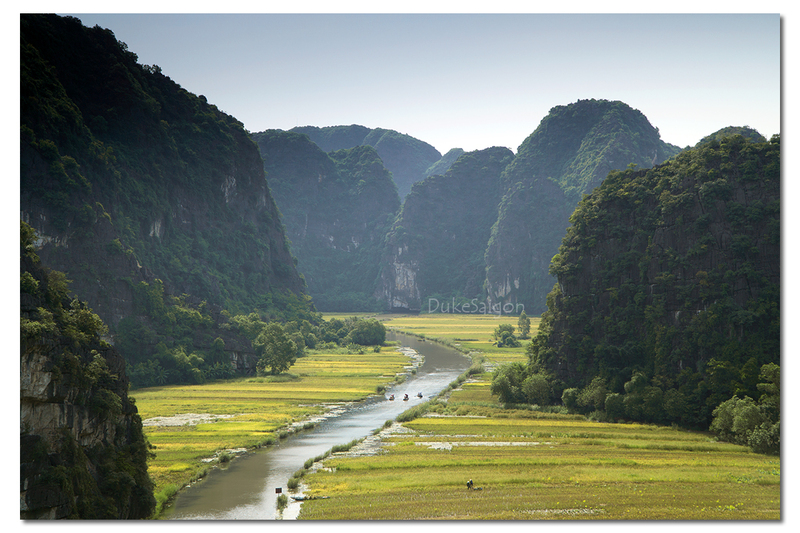 Located in Ninh Binh Province, about 100km South of Hanoi, Tam Coc is considered the most appealing tourist attraction with its stunning caves and charming waterways through a beautiful rice valley. 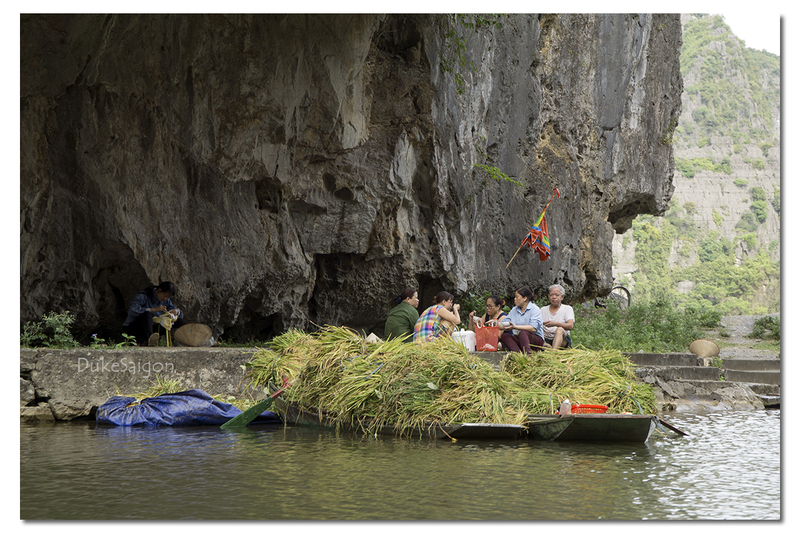 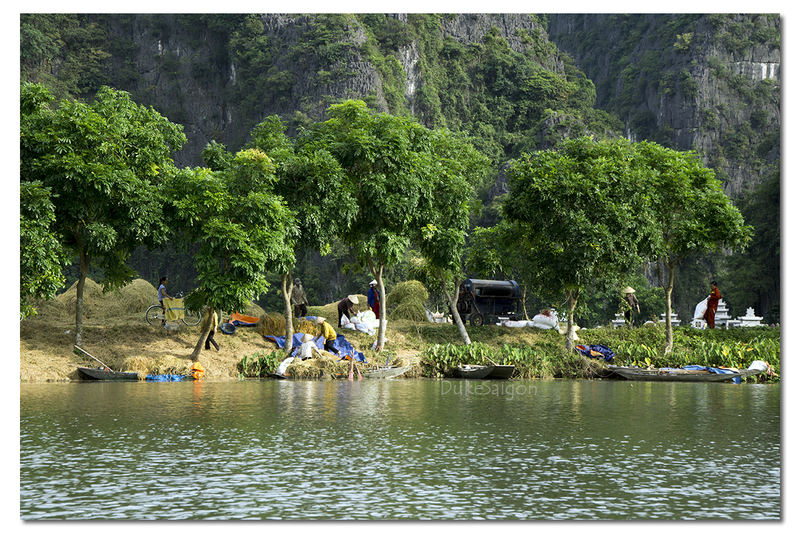 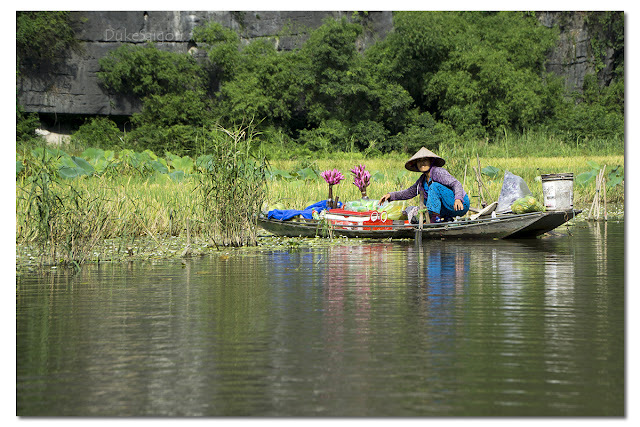 You can hire a boat that will take you along the river, starting at the village of Van Lam and proceeding through a scenic landscape dominated by rice fields and through three natural caves. If you want to take panoramic photos of the entire area, you need to climb up to top of some mountains. 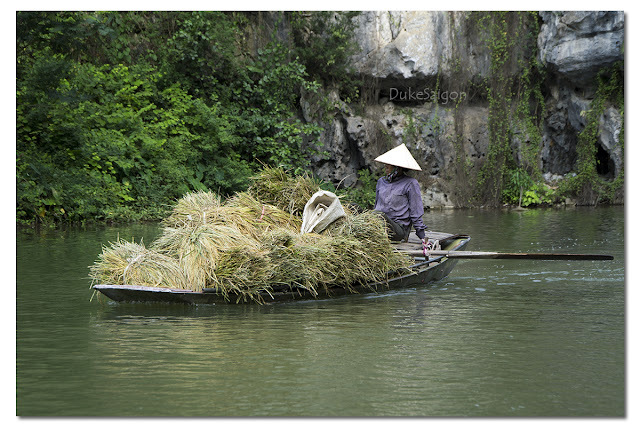 You just simply ask the boat rider for that and give him/her some tips.